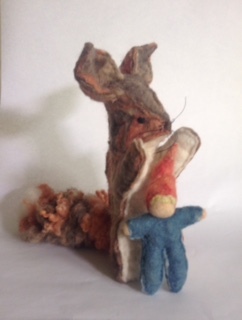 Our puppets are made from traditionally made wool felt. The wool comes from our, or our friends, sheep. All of our colors are the natural color of the wool, or are from dyes we make from plants. All puppets are sewn by hand. 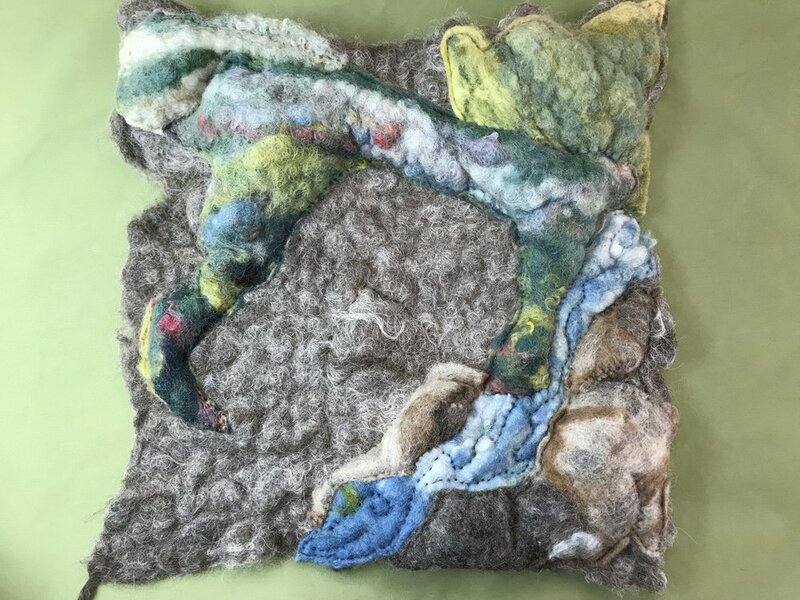 carapace farm puppetry is a 3 generation fiber workshop that builds puppets for children and families. We create everything from finger puppets to life sized animals, marionettes, playscapes, and accessories. Children need carefully crafted precious objects to play and interact with, and that is what we make. We are shepherds and use the wool from the sheep to make felt. 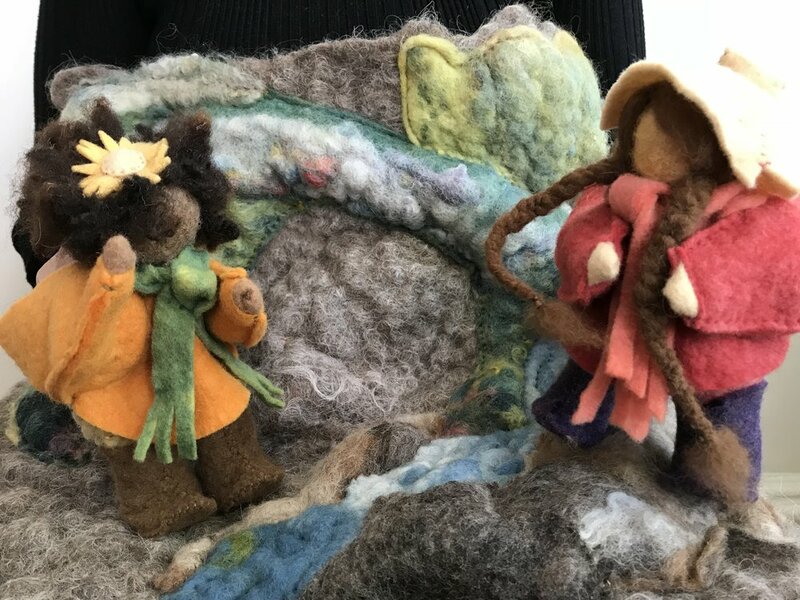 Handmade felt has a unique living quality that adds an extra dimension to our puppets. All the colors are either the natural color of the wool, or come from plants. Everything is sewn by hand.